A small Highland guesthouse on the shores of beautiful Loch Sunart - Ideal for walkers and cyclists. The Strontian is a small highland guesthouse with spectacular panoramic views of Loch Sunart and the surrounding hills. The Strontian also has The Bothy Bar where you can have a drink or two as you watch the sun go down over Morvern Hills. The Strontian offers six spacious and comfortable ensuite bedrooms. Each room has a TV and we provide toiletries and soft towels. We welcome walkers and cycylists and provide drying facilities and secure storage for cycles. Four of the rooms face Loch Sunart and have great views. We also have a two room suite with bathroom ideal for a special occasion or romantic get away. This room can also be used as a family room (where the children are still quite small). We also offer free WIFI. Breakfast is served in a bright dinging room with views over Loch Sunart and evening meals are available throughout the year. The Strontian has a public restaurant (open March to October) as well as a small bar (The Bothy) which is open all year round and is well stocked with Scottish Whisky and a choice of bottled real ales. We are dog lovers and will cater for small well behaved dogs. 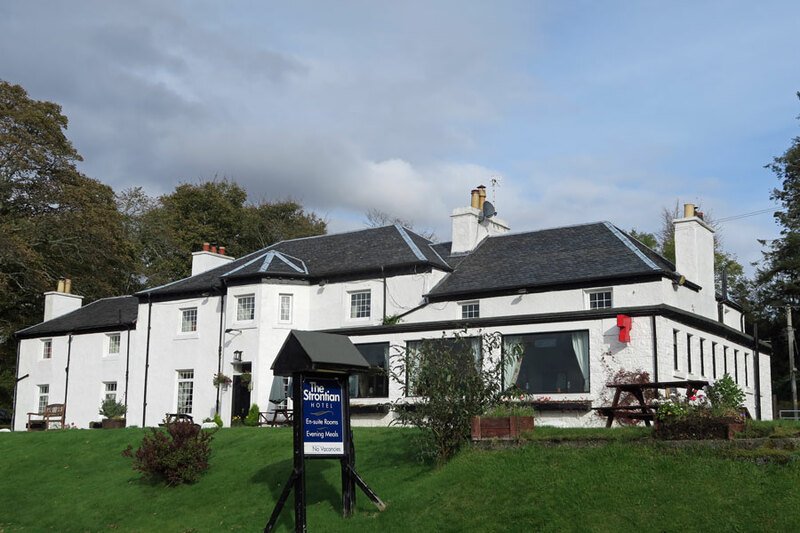 So come and enjoy our relaxing atmosphere and unwind in our comfortable Scottish Guest House offering excellent bed and breakfast accommodation. We are an ideal base from which to explore the Ardnamurchan Peninsula, it's beautiful beaches and ancient woodlands. The Bothy Restaurant is also open to non residents during March to October.